Because Sparrow's Hotel is located downtown, dangerous things like over-drinking and fights are commonplace, which causes trouble for manager Shiokawa Tamaki. Then Satou Sayuri approaches the front desk for a job interview, listing her special skills as "large breasts" and "assassination." She is hired on a trial basis as a special task force and guard, but... Massive strength! Massive breasts?! 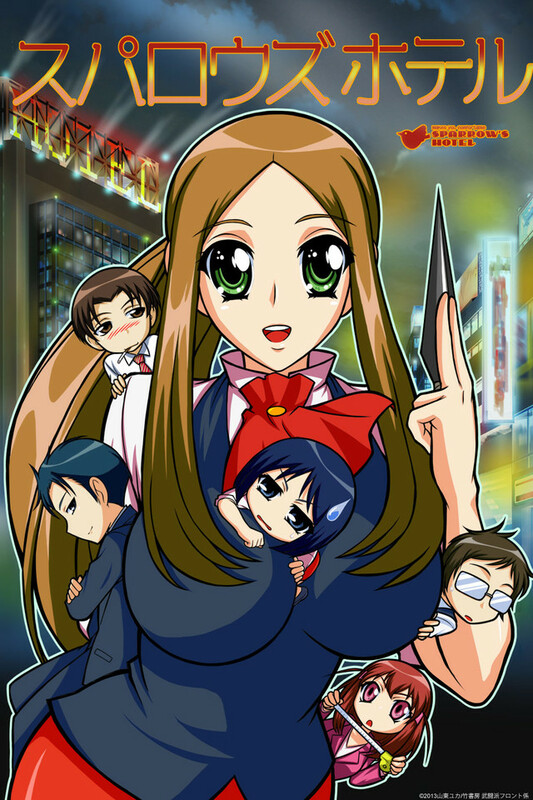 This gag anime illustrates the daily lives of the new front desk staff, Satou Sayuri; the level-headed manager who happens to look like a middle schooler, Shiokawa Tamaki; and the guests who visit the Sparrow's Hotel just to see them.